Download "1-80 0-411-6688 24-Hour Roadside Assistance. Owner s Guide"
2 Dear Volkswagen Owner, Now that you re the proud new owner of a Volkswagen vehicle, you receive complimentary coverage in the Volkswagen 24-Hour Roadside Assistance Program. 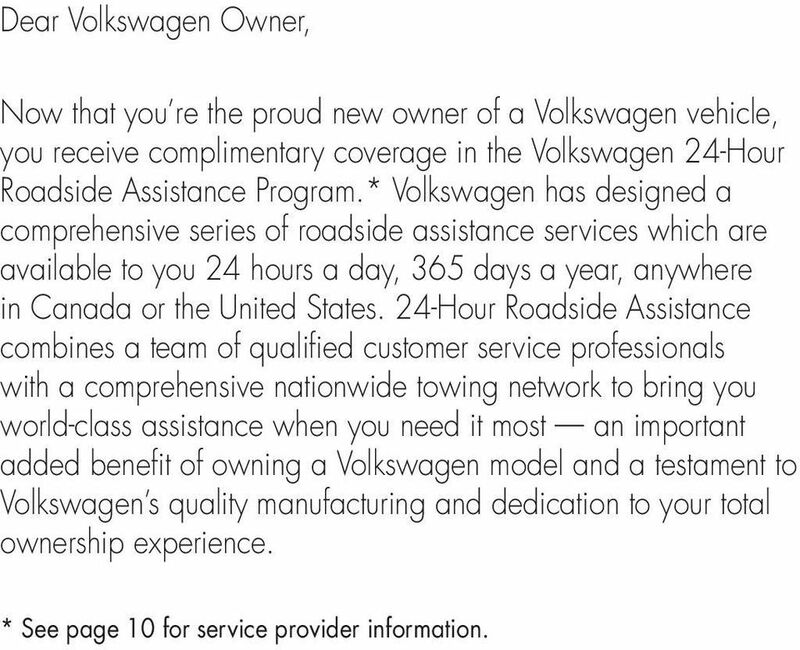 * Volkswagen has designed a comprehensive series of roadside assistance services which are available to you 24 hours a day, 365 days a year, anywhere in Canada or the United States. 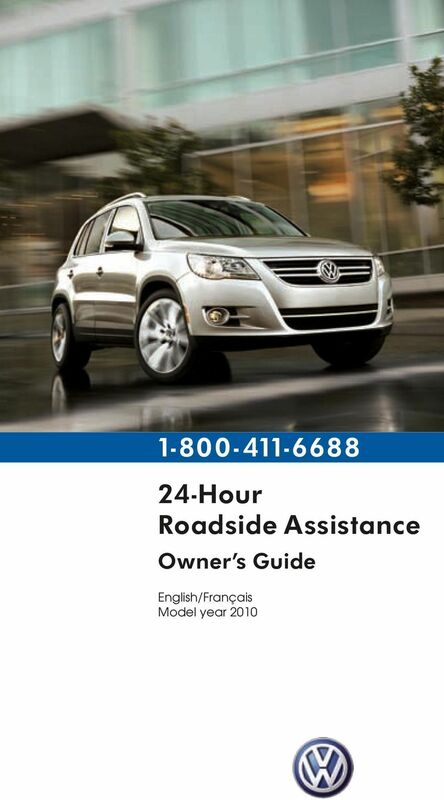 24-Hour Roadside Assistance combines a team of qualified customer service professionals with a comprehensive nationwide towing network to bring you world-class assistance when you need it most an important added benefit of owning a Volkswagen model and a testament to Volkswagen s quality manufacturing and dedication to your total ownership experience. * See page 10 for service provider information. Benefits Guide BMO CashBack World Elite * MasterCard * Welcome. Member Handbook. caaneo.ca. CAA North & East Ontario. Your guide to CAA Membership services and benefits.